Those were the finishing words of this year’s Luxembourg Sustainability Forum’s last but definitely not least inspiring speaker, Lewis Pugh. Talking about his experiences of swimming through the sub-zero waters of the Antarctic and North Pole, highlighting the fragility of our ecosystem and showing the world to what extend the ice at the two poles is melting, Lewis Pugh, UN Patron of the Oceans, represents his title well, leaving the whole room without words and with a cold shiver on their backs. His adventures are allegories of the challenges we currently face. His speech, underlined by stunning pictures of icebergs and whales and contrasted by the extreme fears and physical barriers he describes when jumping into the freezing water, reflects in many ways those challenges and fears we face when it comes to taking action against climate change. Just like Lewis Pugh one has to dip into the cold water, see below the surface and concentrate on the details such as the melting ice, the disappearing fish or the increasing imbalances to see what is actually happening. It is the decisions we take that define us in the face of climate change, the inner barriers we break and the steps we make, as an individual and as a country, that will define where we are going. 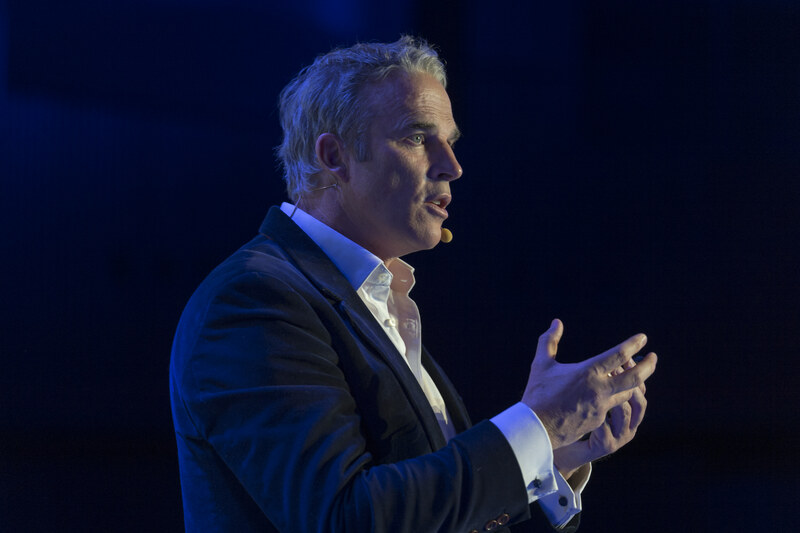 It is in this context that Lewis Pugh highlighted Luxembourg’s potential to lead this pioneer race towards a sustainable future. Talking about the country’s exceptional position, in terms of its size, its educational level and its financial powers, he sees Luxembourg as the ideal experimental ground for all environmental measures that need to be taken, leading both Europe and the rest of the world.